Lisbon, the capital of Portugal, is a pretty city perched atop a hill next to the open seas. The general architectural aesthetic of the city is unique and individual, comprising vast stretches of multicolored pastel shaded buildings. Lisbon also has several Atlantic beaches, for example the Cascais beach. 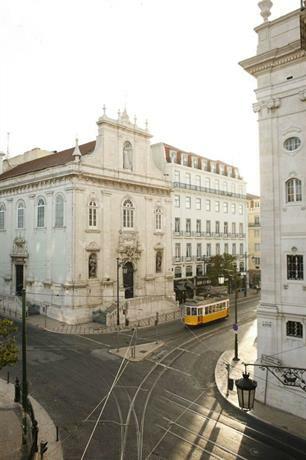 The following are the overall best hotels in Lisbon for when you’re traveling to the city. The Four Seasons Hotel Ritz Lisboa is located in one of the primary locations of Lisbon called Avenida de Liberdade, and as such you can walk over to pretty much all the important tourist hotspots of Lisbon. This is quite an advantage because Lisbon is famous for its narrow and cramped streets which often leads to traffic jams. If you care for art and culture, you can walk over to the Gulbenkian Art Museum. 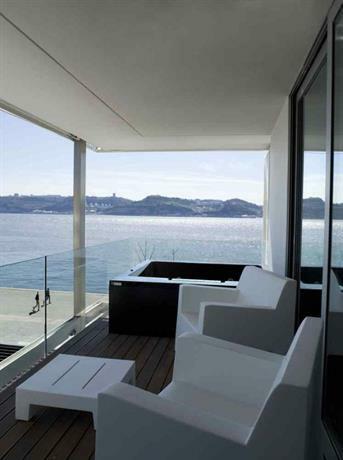 However, because the hotel is so well connected and so central, you have to sacrifice on the seaside view, which is another one of the major attractions of Lisbon. People generally love being perched atop a hill overlooking the open seas. That’s something the Four Seasons can’t offer. Instead, you can settle for a view of the Eduardo VII Park, or the surrounding streets, depending on the room you’ve chosen. 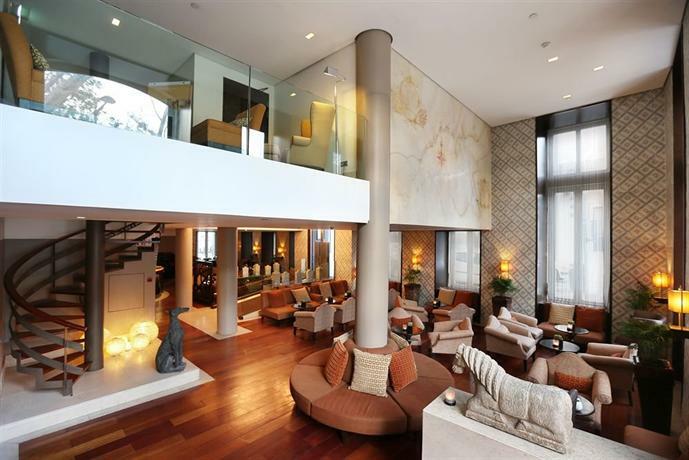 However, despite the lack of view, this is still one of the best hotels in Lisbon, especially considering it features one of the most fabulous interiors amongst all the Lisbon hotels. 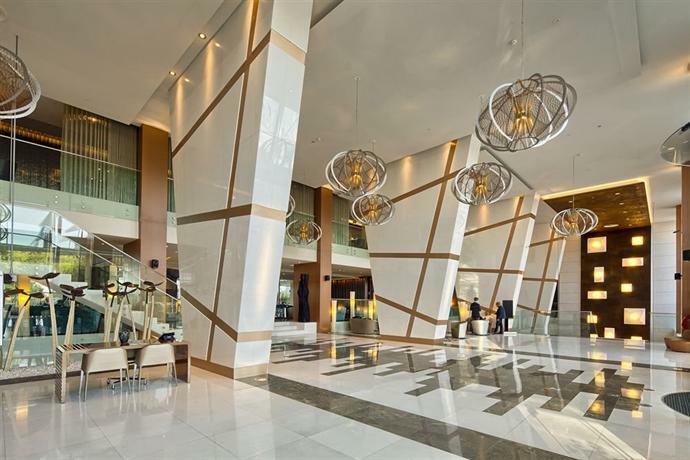 The lobby is all gleaming marble and stucco, and the ceilings are lavished with intricately designed chandeliers. The hotel looks as vibrant and colorful as the city itself, with the help of bright colored floral arrangements in almost every corner of the hotel. The walls of the hotel are further graced with paintings from artists from Lisbon. There are 282 rooms in the hotel, however you should aim for one of the only 10 rooms in the hotel that offer sweeping views of the city high enough to look over the top of surrounding buildings. The Olissippo Lapa Palace doesn’t come with the kind of brand recognition that the previous hotel does, however it has something even greater. It has a sweeping sea view. This is a pretty hotel placed on top of a hill just a little distant from the vast open waters below, and when you gaze out the window, you get a clear view of one of Lisbon’s oldest and most beautifully quaint neighborhoods with charming buildings with lovely twirling vines creeping up the side of pastel walls. Far from hindering the view of the sea, these buildings and neighborhood creates a lovely skyline and silhouette against which to enjoy the view of the sea. One of the things about this hotel that makes it so special, in a manner that can’t be replicated, is the fact that it was made in the 19th century, and as such carries with it all that antique charm and weight of history. This is something that can neither be erased nor emulated. The hotel feels regal, palatial, almost as if it belongs comfortably in the pages of history. The rooms come with floor to ceiling windows that allow plenty of natural light to flood into the hotel, and allows you to observe the sun setting on the horizon, against the shimmering sea. If you want to enjoy your own private terrace, and if you want a view that’s completely undisturbed by the surrounding buildings, you should get a room on the seventh floor. 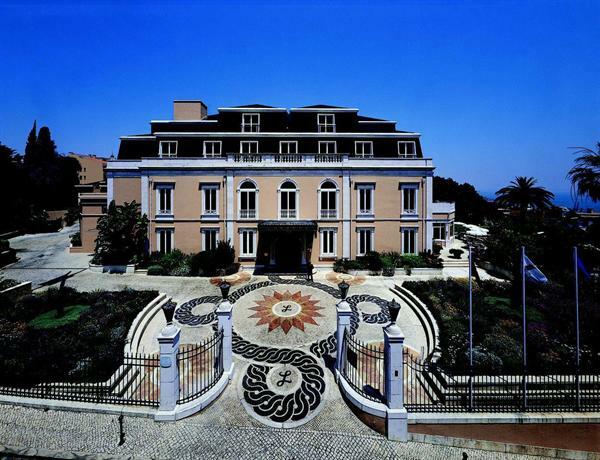 The Pestana Palace Lisboa Hotel is a mere seven miles from the airport and as such it’s great for you if you just want to arrive at your hotel and crash after a long trip. It’s located just off the coast of the Tagus River, and as such it’s ideal if you’d prefer to have a view of the suspension bridge. 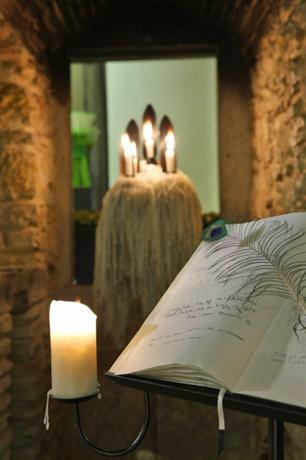 This hotel is also really close to the historic center of Lisbon that is Belém, which features in its midst the 16th-century Monastery of Jerónimos. The structure that houses this hotel had been constructed in the 19th century, and in recent years after it was turned into a hotel, it was slowly refurbished and renovated over a long winding process that took 12 years to complete. 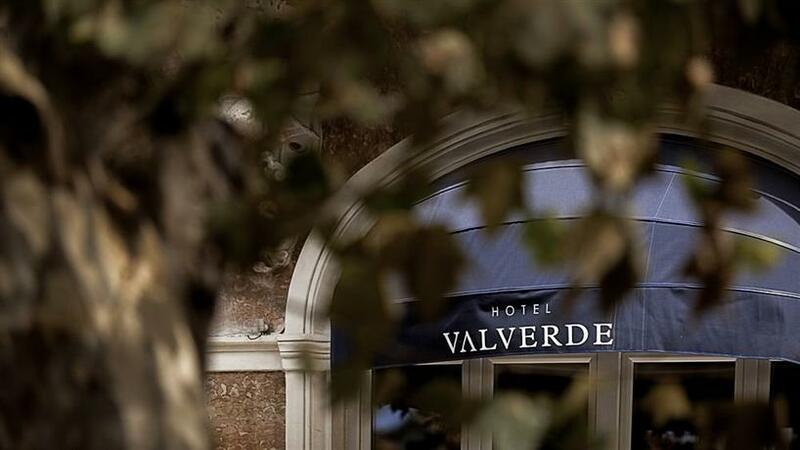 Now, the hotel stands as a modern and luxurious masterpiece, complete with frescoes painted on the ceilings, polished floors, and gleaming marble pillars everywhere you turn. In fact, this hotel has become so important to the heritage of Lisbon that it was transformed into a National Monument in 1997. The lobby of the hotel is shimmering and brilliant with a grand stairway and oil paintings lining the walls of the hotel. The rooms in the hotel are decorated with period furniture, and the rooms have quite an old world charm about them. There are 176 rooms in the hotel, along with 13 suites, and they’re all beautifully decorated with ornate carpets, well-decorated bedsteads, and even heavy intricately designed curtains. The Myriad is really well located, just a few minutes from the airport, and that might be appealing to a lot of other people. Beside that, the hotel mostly derives its value from what its structure offers rather than its own surroundings or its own aesthetic sense. The hotel structure was converted into an exhibition space back in 1998, and ever since, this hotel has been the prime spot for most events and expos in Lisbon. This added the life and vibrancy that this hotel so desperately needed to be noticed. However, now that it’s an exhibition center, it’s hard not to take note of these hotels. 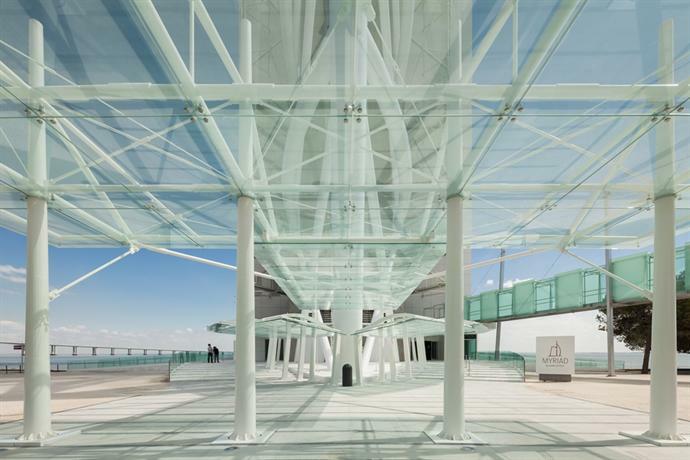 It holds a science museum, an oceanarium, and various other attractions as well, and all in the same area. As such, this is a wildly popular hotel with tourists, especially tourists who come for certain exhibitions and events in mind. As far as the aesthetics are concerned, the color palette is red and black with a little silk-grey. The entire hotel is surrounded by glass walls and as such light amply floods into the rooms, keeping it bright. The hotel also features a central atrium with a plastic red-and-black jellyfish. There are 186 rooms in the hotel, and they’re all replicas of each other, their size varying depending on the type of room you get. 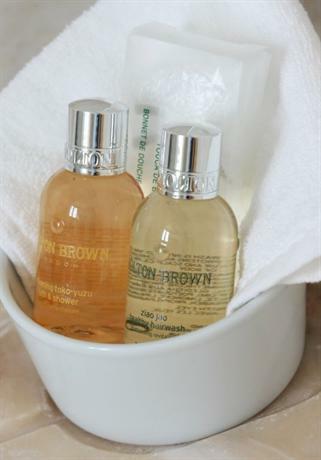 If you get the deluxe rooms, you’ll have to choose whether you want one with a bath or a shower, however all other rooms have both. This is a really hip and trendy hotel, however it’s really distant from the hotel, as it takes an hour to reach. But if you make the effort, it is sure to pay off as the hotel is within close vicinity of a beautiful and charming town set up on the Praia de Luz beaches. This town feels like it has come alive right from the pages of a fairy tale set in medieval times. It has cobblestone pavements, and all the houses are made of wood, painted in bright colors such as orange, rust red, or even lime green. The hotel itself has been fashioned along the line of townhouse hotels in London and other big cities of the world. The furnishings and the fabrics in the hotel are highly ornamental and designed with rich colors and bold patterns. 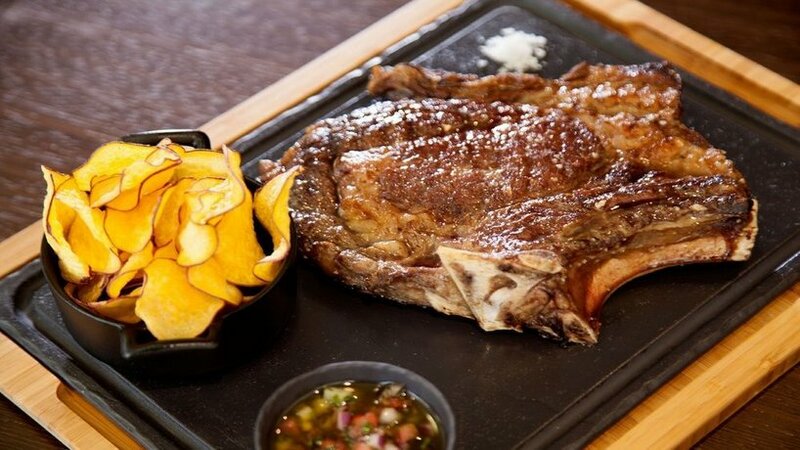 The hotel has one restaurant, called Sítio, and it’s on the ground floor. Characteristic of the rest of the hotel as well, it has a very relaxed and chill vibe. There are 15 rooms in the hotel and most of them are different in size from each other, however two of them at the top floors are considerably large. Even the smallest rooms in the hotel are really intimate and warm, designed in a quirky aesthetic sense, with diagonal ceilings and the colors of the walls being bright and pastel hued. The bathrooms in the hotel are completely designed in a black and white aesthetic. This hotel is always a huge success with all the lovers of history and culture as it’s located in the part of the city known for its historical heritage. Even the interiors of the hotel have been designed in a manner so as to appeal to its historicist links. The entire hotel and all of its surrounding buildings, cafes, etc, have stories dating back hundreds of years. Some of the buildings in the neighborhood have stood the tests of time, whereas others have crumbled under the weight of natural and man-made calamities only to rise up again in a new visage. Located just a short ten minute drive from the airport, the EPIC SANA is one of the most well located hotels in all of Lisbon. Even though you won’t find many shopping boutiques in the immediate neighborhood of the hotel, you can easily walk over to them. The hotel faces towards the sea, though several other buildings come in the line of sight. Beside that, the hotel is open enough that it’s always bright with natural light, and it’s been designed in a minimalist aesthetic to emphasize that. If you’d like to interact with other guests you can do so at the on-site bar called The Onyx Bar. The Altis Belem Hotel, as the name suggests, is located in Belém, quite a distance away from the center of the city, and from the River Tagus. Even the airport is on the opposite end of the city and as such it takes a long time to reach the hotel from the airport. However, what the hotel does offer is some quiet, some relaxation, and a retreat away from society into a lovely resort hotel. To enhance that sense of calm and openness, the hotel has been designed in a minimalist vein, in a strict black and white decor. In fact, this hotel takes monochrome to such heights that even the bathroom has a black toilet roll along with white marble tiles. If you want to be more in tune with the general color and life of Lisbon this isn’t ideal. 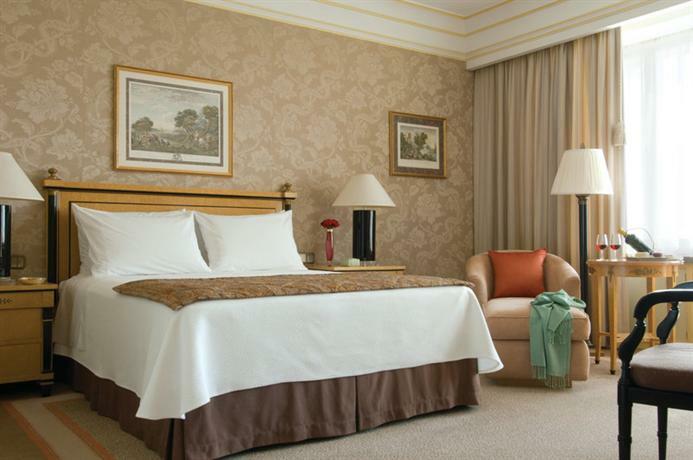 The Sheraton Lisboa is one of the most luxurious and well connected hotels in all of Lisbon. 15 minutes from the airport, it’s located in the center of the city with most of the prime tourist attractions within close vicinity. 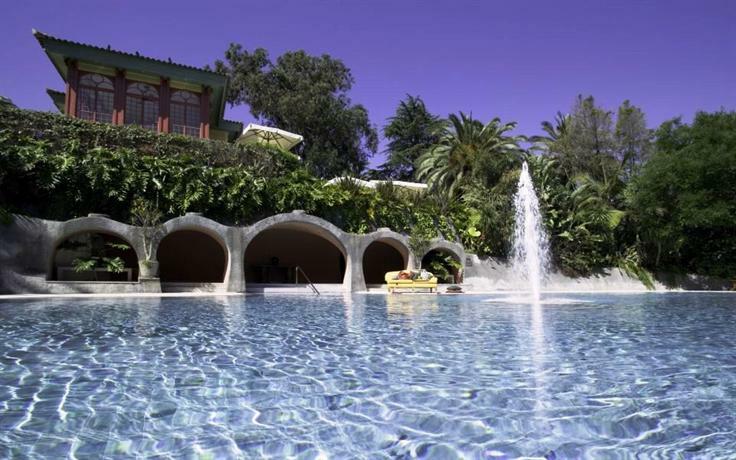 If you’re at the Sheraton, you must take a walk down to the Eduardo VII Park, or explore all the boutique stores and cafes that line the streets right outside the hotel. The hotel is also meant for business travelers, and as such all 369 rooms of the hotel come equipped with work desks. The Bairro Alto, as the name suggests, is located in a secluded corner of Bairro Alto, which happens to be one of the most lively and thriving areas in all of Lisbon, replete with some great pubs, nightclubs, etc. If you’re worried about the noise, rest assured that the hotel is secluded enough, and padded enough, that none of the sound permeates the hotel walls. As such, you get the best of both worlds. You get peace and quiet, and when you step outside, you also find yourself in a thriving city! From the outside, the hotel is all bright yellow, and the interiors of the hotel are glimmering in black and gold. The Solar Do Castelo is a hotel located within castle walls and as such it’s pedestrian only. However, if you want to enjoy the life and excitement of the city, you’re ideally placed because the hotel is on a street known for all of its bars, pubs, and nightclubs. The hotel is set on an alley made of cobblestone pavements, the doorway of the hotel is pastel blue, and as such the entire location is picturesque. Once you enter the hotel, you feel like you’ve entered into the 18th century. The hotel adheres so strongly to its roots that even the light source for the hotel is of lanterns. 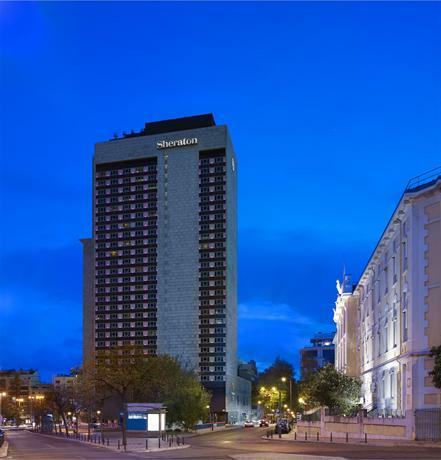 Britania Hotel is a great location from which to explore Lisbon as it’s within close quarters of all the prime tourist hotspots in the city, so much so that you can simply walk to most of them. The interiors of the hotel have been designed in an Art Deco style with brass furnishings and pictures in place, along with parquet floors. There are 32 rooms in the hotel and the general color palette is that of blunt gold and cream. The Porto Bay, contrary to its name, is actually quite central to Lisbon and very well linked to all the other tourist hotspots. With a prime location such as Avenida da Liberdade, Lisbon is close to the airport and all the shopping spots in the city. The hotel tries to mime a very mediterranean aesthetic with white pleather couches and grain barrels sprawled across the lobby. The rooms of the hotel have been designed in monochromatic shades, and they feature full length windows that allow plenty of natural light into the room, however beside that they’re quite unremarkable. 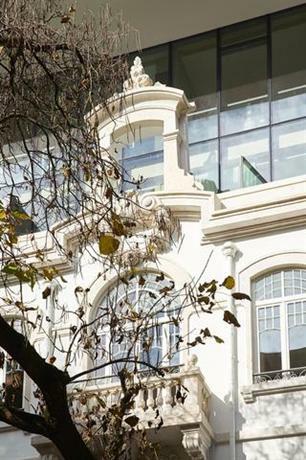 The InterContinental is a high-end luxury chain hotel, and here in Lisbon it’s located in Marques de Pombal Square, thus quite close to the Jardim Amália Rodrigues park. The general aesthetic of the hotel features bright blue shades with golden and wooden accents. Even the bedrooms have been designed in a minimalist contemporary style. The InterContinental has only recently acquired rights to the hotel, and currently they’re in the process of refurbishing it. As such, you should first enquire about any noise or commotion before checking into it. 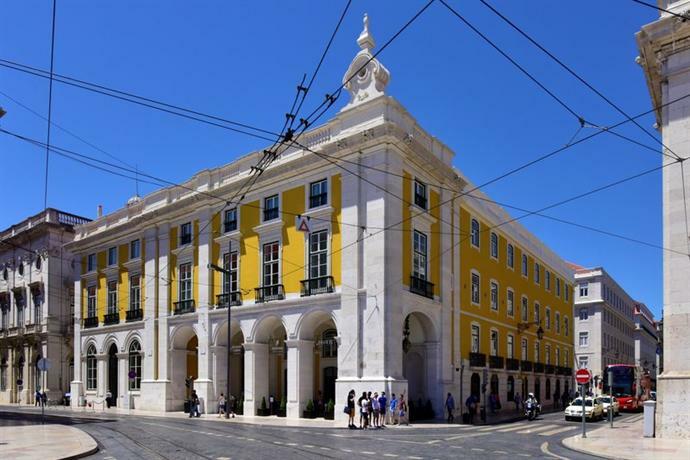 The Heritage Avenida is located in one of the most central locations in Lisbon, a mere five minutes from the Rossio Railway Station, and a few miles from the airport. The immediate neighborhood of the hotel is lined with beautiful manicured trees and boutique stores and cafes. There are 41 rooms in the hotel, all of them bearing wooden fixtures. The walls and fabrics in the hotel bear a light and neutral color palette comprising mostly beige and cream shades.